Butterflies are found in every continent except Antarctica as the temperatures are too cold for them survives there. Butterflies along with moths are the only insects with wings to be covered in scales and these scales give butterflies their brilliant colours when light falls on these scales. Did you know that Adult Butterflies can feed only on liquids (usually nectar) & cannot chew solids and use a long tube like structure called “Proboscis” for feeding on liquids. Butterflies do not have lungs and breathe through their openings on abdomen called “spiracles” Female butterflies are usually bigger and live longer than male butterflies. Interesting thing about butterflies is that each Butterfly Family selects a particular species of plant/tree and lays eggs only on them and not on any random plant or trees. Butterflies are cold blooded insects, meaning they cannot regulate their own body temperature and to regulate their body temperature they must depend on the ambient temperature that is the sun’s solar energy. Therefore most butterflies sit in the sun rays with their wings open and this process is called as “Basking”.. The absorption of heat is determined by the colour of the wings. The more the dark the upper surface of the butterfly the more quickly it will absorb the suns energy and will be ready to perform its daily activities. Where-as if the upper surface is light in colour more time will be required for the heat to be absorbed. But the basking of the butterflies is completely dependent on the sun’s heat energy. If there is a drop in the temperature or the sun is blocked due to cloudy weather or when solar heat falls beneath the levels needed to ensure sufficient heating, butterflies immediately seek shelter. Thus it is the heat which allows the butterflies to become active before sunrise and to continue after dark. 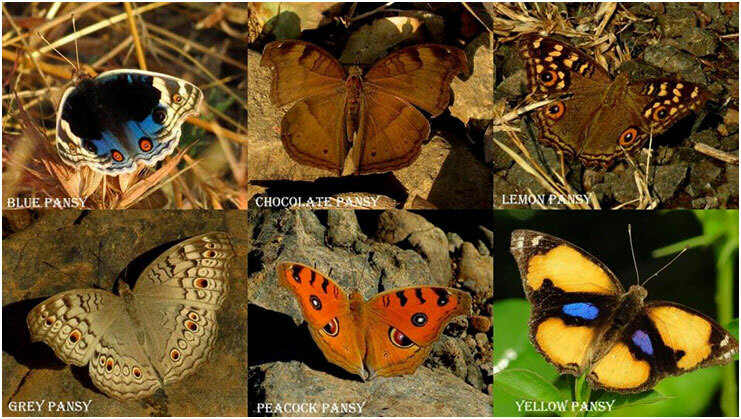 Therefore we will find a sudden drop in butterfly sightings in winters and plenty of sightings in pre and post monsoon season due to the excessive heat. In order to take flight butterflies must warm their flight muscles to a sufficient temperature by storing thermal energy from the sun in their wings which power their flight. First the blood (insects blood is called as “haemolymph”) in the veins gets warmer, then the surface of the wings get warmer and after that it is circulated to the other parts of the body. Then when the body temperature is reached to a sufficient temperature the butterfly is ready to start its daily activities. Previous post: What’s your big summer idea?